Let’s get one thing out of the way, freshwater chlorine and saltwater pools are both chlorine. Though seemingly different, these two use chlorine to keep your pool nice and clean. In our following discussion, we will debate which is better: traditional chlorine (i.e. liquid chlorine and tablets) or a saltwater generator. Let’s go. It is the standard for keeping your pool sparkling clean. Chlorine tablets and liquid chlorine are a relatively simple way to maintain a bacteria-free environment. Liquid chlorine and its tablet form are available in pool stores, big box stores, and even grocery stores if you’re in a pool-loving state like Florida. Liquid chlorine can be poured directly into your pool or you can use a Stenner pump (peristaltic pump) to dose as needed. Sold by the jug, pool-grade chlorine has roughly 12% concentration of active chlorine in the solution. A less expensive alternative is household bleach which contains chlorine, but at a lower concentration of eight percent. Chlorine tablets are made of a compound of chlorine and cyanuric acid (CYA). The acid protects the chlorine from “baking-off” due to UV rays. CYA’s nickname is sunscreen for chlorine. The most common chlorine tablets are made of trichlor and dichlor. The trichlor molecule contains three chlorine and one CYA molecule, while the dichlor contains two chlorine atoms and one CYA molecule. The trichlor packs more of a chlorine punch and is less expensive. Saltwater chlorine generators are new compared to traditional chlorine, but do not get confused, salt chlorine generators are not a fad like bell-bottomed jeans and Ozonators. These generators have been growing in popularity for decades and will be improving designs and efficiencies in the coming years. The process of switching from a traditional chlorine pool to a saltwater pool is simple, have a look for yourself: Converting Your Pool to Saltwater. How does a salt chlorine generator work? The process of turning the salt (sodium chloride) into usable chlorine is called electrolysis. Excuse the next few lines as it involves science. The sodium chloride molecule is made of one sodium molecule and one chlorine molecule. To make that chlorine active and a bacteria-killing juggernaut, we have to break the bond between the two. This is where the salt cell comes. The cell contains an array of titanium plates, with a slight (and safe) electrical charge applied. As the saltwater travels over these titanium plates, the salt molecule strikes these plates, shocking the molecule so that it breaks the atoms apart. Sodium goes one way and chlorine goes the other. The chlorine is now free to seek and destroy all bacteria and algae lurking in your pool. And once the chlorine has done all it can do, it bonds with one of the lonely sodium atoms again so that the electrolysis process can start all over again. The use of a salt chlorine generator means you virtually eliminate the use of chlorine tablets and liquid chlorine, as well as the hassles that come with handling both. You still need to balance your other water chemistry levels like pH, alkalinity and CYA which we cover in the article: Water Chemistry For Saltwater Pools. OK, now that we know who the contenders are, let’s see how they size up. At the end I will give you my verdict of my favorite. You will not find another form of sanitation cheaper than freshwater chlorine. Traditional chlorine is cheaper, because you’re basically buying a mixing vessel with pipe connections. There are no electronics or other doodads to spike the cost. A chlorine float is essentially a chlorine teabag (trademark pending) that holds a few tablets as they slowly dissolve. Floats are about $15 (if that) and get the job done. Though, they have a downside of not allowing you to control how much chlorine is dosed. That is why I suggest an in-line or offline chlorinator to get you optimal control for the price point. Chlorine generators are expensive, and there is no getting around it. A generic brand will cost you $400 and up, but then you may have hardware issues, or if you go with the tried-and-true name brands like a Pentair IntelliChlor or Hayward AquaRite the bill could be more than a thousand. If you are a buyer on a budget who is dead set on a salt chlorine generator, my advice is to get by using a chlorine float or an offline chlorinator and save up for a solid chlorine generator. It pays not to skimp. Because we know how easy installing a chlorinator or salt generator can be, we do implore you to read up on installing it yourself. You could save a chunk of change and get good sense of how everything works. A tablet feeder or a salt chlorine generator can be installed by a regular homeowner without the help from a professional. If you are planning on using a professional, let’s see the cost. Tablet feeders are relatively easy to install. There is an in port and out port or for offline models, an in feeder tube return tube. Chlorine floats are even easier, hence why they are free. Simply fill it with tablets and drop it in the pool. 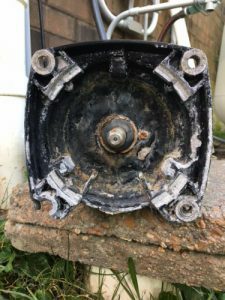 The installation of tablet feeders is usually connecting pipe and PVC glue, but installers will still charge the full hour or a flat fee. Salt chlorine generators generally have three parts, namely the salt cell, power center and flow switch, which all require plumbing, wiring, and/or mounting. The process is a little more involved, but nothing handy pool owners could not do if they were so inclined. Winner: Freshwater, but if you do the work yourself it’d be a draw. 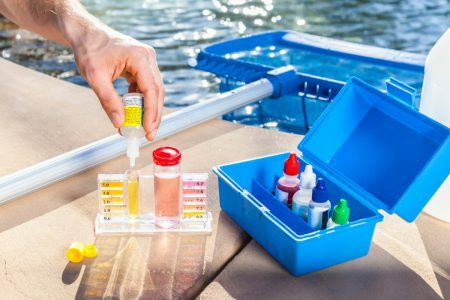 Pool chemistry and sanitation needs can vary greatly for pools in different states, or even if they are in the same neighborhood. The need for chlorine is dependent upon the exposure to sunlight, debris, pool surface, and current water chemistry. If your tablet feeder is high in CYA, it will take a higher chlorine load to counterbalance it. And a reminder, salt chlorine generators only produce chlorine. You will still need to add chemicals to adjust for pH, alkalinity, and hardness. Also, on the rare occasion you will need to shock, but the scheduling of these events is greatly reduced. Luckily, the good people over at HomeAdvisor have put together an interactive graph to give you the average pool maintenance costs in your area. This is my favorite category, because this is the one most likely to affect the user. Installation and equipment costs are shortsighted, but the time and labor spent on keeping your pool water correct is something you will deal with over years. You can recoup money, but you can’t recoup time spent laboring over chemical testers. Chlorine pools demand a vigilant eye as levels can turn south quickly. 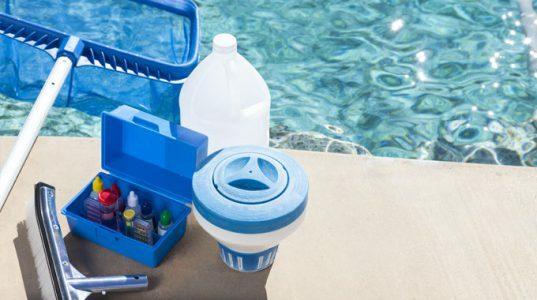 Some methods of maintaining your pool will have you testing your water every couple of days or once a week and do not forget having to handle the toxic caustic chlorine tablets. Salt chlorine generators are pretty much self-sufficient and self-diagnosing. Generators remove the guesswork from pool maintenance by using the control panel’s error code and alert light display. When your salt levels are low, a cell needs cleaning, or any number of other issues that can arise, the control panel alerts you. Salt generators like the Autopilot have a sensor that reads water flow, salt levels, and water temperature to keep chlorination production at optimal levels. Tablet feeders come with a control knob. Saltwater has the edge in this category because its sanitizing agent is a purer form of chlorine. The chlorine produced by the salt cell is less harsh than the trichlor and dichlor mixtures found in chlorine tablets. The water protected by a salt chlorine generator has a softer feel and is less likely to cause dry skin and hair. Despite the common beliefs, chlorine does not cause green hair, stinging eyes or eye irritation. It is the lack of chlorine that causes these problems. These issues can occur in freshwater chlorine as well as saltwater, but are more likely to happen in pools sanitized with liquid chlorine or tablets. Green hair – higher than normal amount of metal in the pool water that attaches to your hair. Stinging eyes and irritated skin – not enough active chlorine to counteract the byproduct of used chlorine, called chloramines. After chlorine tangles with bacteria and other dirt, chloramines are left suspended in your pool. Harsh chlorine smell – again this is chloramines, not only can they irritate your skin and eyes, they do a number on your nose. The process of dosing your pool via dissolving tablets can be an inexact science. Tablets dissolve at various rates, depending on how the water is introduced to the vessel and the quality of the tablets. This type of imprecision leads to fluctuating chlorine levels. And a big concern for homeowners considering saltwater is how will it affect the aforementioned elements and also deck chairs. Water is not is the only thing in your pool, as you also have metal railings, plastic skimmer and drain covers, and vinyl toys or liners. Those thinking about saltwater may think they have to switch out all their pool equipment, but that is big no. The reasoning of my verdict stems from years of customer stories, complaints, bragging and pool experience. The overwhelming experience for pool owners and servicers is that a salt pool is the way to go. Don’t get me wrong – it has its drawbacks. If you are on a tight budget or do not plan to stay in the house for long, then a saltwater pool is likely not worth the investment. Also if you like the workout of lugging around chlorine jugs to save on a gym membership, then ship the SCG. But for the average user who would rather spend time in the pool than working on it, saltwater is the way to go. You forgot to mention salt has a high PH and especially with a new pool you will be adding a lot of acid to nting levels down. Acid isn’t cheap and if you do not bother adjusting to 7-4,7-6 you will start to see a nice build up of scale on your tile. You then will need to hire someone to bead blast the calcium off. Not cheap. Also cleaning the cell is a pain. They don’t last etc etc. Hands down chlorine tabs in the spring and summer and liquid chlorine during the winter so you can get your conditioner levels back down. Only good thing bout salt is softer skin. Fir my clients I throw about 200 lbs of salt for softness but go with the tabs. That 200 pounds of salt probably isn’t doing much to soften the water or your skin. Salt water pools have a softer affect on your skin because the chlorine levels are lower than found in a standard chlorine pool. Also, my in-laws have had salt water for at least 5 years on their tile pool, never had to sand/bead blast a thing. If you keep your water levels in check and add some descaler when needed the pool will be fine. Also, cleaning the cell is a pain? The process involves unscrewing the cell and submerging it in a bucket or muriatic acid mixed with water. That doesn’t sound hard. We have a regular chlorinated pool, we also have a problem with water bug. Would a salt water system have any effect on the water bug congregations population? inadequate chlorine levels are a common reason for big infestations in a pool. A salt water system can fix the problem, but so can properly regulating your current levels with standard chlorine. Can I even consider a saltwater pool if I have no place to drain the saltwater? I live in Oklahoma, great water is supplied by a well, my house uses an aerobic septic system. When I need to drain the pool I can’t just flush into my creek and pond with fish and other animals can I? I obviously can’t drain to a city water treatment system either. Seems like the saltwater is an environmental hazard in my situation so I can’t even consider it. Any solutions for me? Thanks! Your situation seems kind of strict. Are you in an arid state like Arizona or New Mexico? 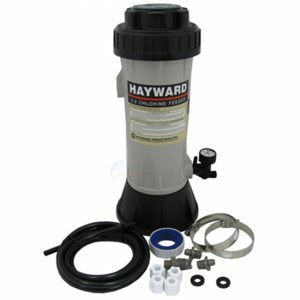 To lower the need for backwashing your pool, switch to a cartridge system. In reading about this, I have heard of areas of the country that offer a company to come drain your pool to the disposed of properly. I had a 40,000 gal pool for twenty years. Used chlorine tablets. Rarely had a problem. Had the same heater for twenty years. Now I have a 16,000 gal pool with saltwater. I had a terrible time keeping chlorine level adjusted. And I have grown weary of lugging 40 lb bags of salt. I know in theory you should rarely need to add salt. But I added a couple hundred pounds a year vs. 75 pounds of chlorine. Plus, had to spend $300 replacing the salt cell every few years. And, I’ve been through two heaters because the heat exchangers developed leaks ( in a ten year period.) I’m guessing the saltwater corrodes metal in the heater. I am not a fan of saltwater pools. Wife says “water is softer”. So I switched back to chlorine tablets, quit adding salt, and didn’t tell her. She never noticed the difference. Honestly, I think if you add up the corrosion damage, the lugging of salt bags, the replacement of salt cells, the replacement of the salt generator(they are electronic and last a limited number of years), my opinion is that saltwater pools cost a lot more to operate over time. The pool guys make a lot of money on them! So don’t rely on them for an unbiased opinion. A question on the heater, did they have copper or cupro-nickel heat exchangers? The former is not meant for saltwater installations and would likely need to be replaced several times. Unless you are backwashing your filter a couple times a week, there should be no cause for you to add that much salt yearly. Especially for a pool that is 16,000 gallons. The salt does not leave your pool unless it is backwashed or swimmers taking it out when they exit the pool or splashing. And going by the price of your replacement cells, it seems like you got the 20K gallon cell. Because the cell would have to be running at atleast three-quarters its top output, you are going to deplete the cell quicker. Most pool people would have told you to oversize it to save wear and tear on the cell, and increase its life expectancy. To your comment you added below, if it is so hot that the water is 90-degrees, then yes you are going to need to add stabilizer to offset the effects of the sun. The cell creates a pure form of chlorine, which means it does not have the mixed-in stabilizer you would find tablets. Forgot to mention the GALLONS of muriatic acid I use in a year. Would much prefer to handle chlorine tabs than all that acid. I am a scientist by training. I understand pool chemistry better than the pool guys I’ve had, and watch my pool chemistry closely. I live in Oklahoma where my pool temp reaches 90 degrees and requires close monitoring in hot weather. I just got fed up with the salt system. I wouldn’t never recommend a homeowner install their own salt water chlor generator. The electrical connections must be made by a electrical or a qualified pool professional (should be licensed). These power centers take 120/220 vt.
A homeowner is not gonna be able to do that and shouldn’t attempt it. I think you are underestimating the capabilities of a lot of homeowners. There are plenty of “handy” men and women out there who are more than capable of reading an instruction manual, following directions and staying safe. A homeowner should honestly assess their capabilities, comfort, and do their research before tackling any DIY task. The latter being the reason we provide so many how-to guides, blog articles, and technical support. Also, going by the screen name, it seems you may be a tad bias on this subject. Thanks for your insight on the pros and cons of both. I am looking to install a new pool and spa at my house. One of the quotes I received from one of the large pool installers in my area said he would not recommend salt. He said that there is definite damage to the gunite, pool equipment and decking (granite stone) caused by the salt. He stated that if I chose salt it would change the warranty on the gunite from life time to 7 years. Another big pool builder in the area said he installed 98% salt water pools last year and does not have any appreciable problems and has a lifetime warranty on the gunite, He has been in business for 25 years and the feedback is overwhelmingly favorable to salt. Almost everyone I have talked to who has owned both prefers salt. Who is correct? Should I be worried about the salt damage. Just going by the evidence you have accrued it seems clear, salt is the way to go. You have one guy against saltwater and everyone else you have talked to who has experience with it is for it. I haven’t seen any issues in salt pools that have been prepared properly; there should be salt-friendly railings, ladders installed and the correct paints and sealants should be used. We switched from salt to chlorine. Love chlorine! No more dumping in acid all the time, adding expensive stabilizer, adding salt often ( I know it doesn’t evaporate but I don’t know where it went because we added several bags every year). Salt cell needed replacing every 2-3 years for $250 each. Salt computer needed replaced twice in 10 years for $1100. Then there the build up of salt on my waterfalls that will need a professional to get off. The pitting of my deck and how often we went through pool motors. We are in DFW and it’s always hot and sunny so I don’t know how much that affects it. I love the new chlorine tabs with the algaecide in them. Fill the dispenser twice a week and we are done. Rarely even need to shock anymore. Very informative, Matthew. We will be moving to AZ soon and this will be our first in-ground pool. It’s a salt water pool, and I am now convinced that’s what it will remain. 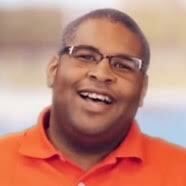 I think the key is to hire a competent pool company to provide regular maintenance, and that’s what we intend to do. How Long Does It Take to Heat a Pool?